If you can't see that number then I'm afraid you will need to remove the radio to get your m--v serial number. then 5 if correct bingo radio will work 100 percent. You are looking for a six digit number with a letter in front of it m123456 OR V123456. Unlock the CD player in your Ford car or van quickly, safely and easily using the 7 digit serial beginning with M or V. You will find the serial number either printed on a label or you can press the buttons 1 & 6 or 2 & 6 on the front of the radio for a second or two, text will scroll along the display look for the serial number beginning with V.
FM / AM Radio Tuner. Peugeot Expert car stereo RD4 car radio stereo | RD4 stereo for Peugeot. Ford Focus CD Player, 6000 CD stereo radio -. Fits Ford Focus: 2007 - 2010. This head unit fits: Ford Focus: 2007 - 2010. With warehouses in. 1 Year Manufacturer Warranty power Harness, Standard Radio Antenna Port Audio/Video input and output ports Multi Function Socket Cooling Board, Plug to Play Installation 800MHz CPU, The latest Cortext A9 Core, 256MB RAM Dynamic User Interface . 05 Ford Focus MK2 1.6 Petrol Auto. the Channel Islands. Engines, gearboxes, rear axles and tailgates will be send on pallet. 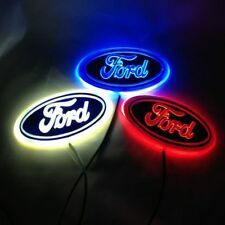 FORD CD MP3 RADIO AUX. COMPATIBLE WITH AUX. PLAYS MP3 CDS. SHOULD YOU REQUIRE A SECURITY CODE FOR THIS CD PLAYER ONE YOU HAVE I CAN CODE IT FOR YOU. SUPPLIED WITH SECURITY CODE. 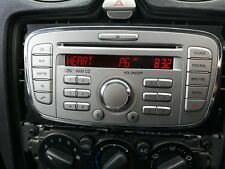 Ford Focus Mondeo S Max Transit Connect 2009 Radio CD Player. Condition is Used. Dispatched with Parcelforce 48. FM / AM Radio Tuner. Peugeot Expert car stereo RD4 car radio stereo | RD4 stereo for Peugeot. Ford Focus CD Player, 6000 CD stereo radio -. Free Removal Keys. Fits Ford Focus: 1998 - 2004. This head unit fits: Ford Focus: 1998 - 2004. Ford Mondeo 2003 2004 2005 2006 2007. - WiFi Internet: Built-in WiFi Module, support 802.11b/g/n, support WiFi Hotspot. - Built-in DAB Player App: Yes, just connect a DAB Box to use this function. - DAB Box In: One. Fits Focus / Mondeo / Fiesta & Puma models. Ford 6000 CD Car Stereo Player. CD / Radio. FORD 6000 RDS CAR RADIO CD PLAYER - TRANSIT FOCUS CONNECT MONDEO PUMA FIESTA. The code is written on the unit ,therefore should be straight Forward, Plug and play. This Head Unit Requires a Security Code To Operate. What you see is what you will get ! 4M5T 18C815 BK. FORD FOCUS 2005 - 2008 SONY RADIO CD PLAYER MP3. SECURITY MARKS. 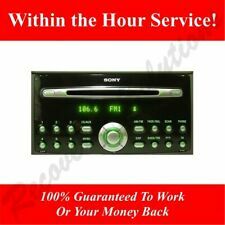 Sony Radio Stereo CD MP3 Player Ford Focus Mk2 With Code! Fully working stereo removed from a Ford Focus mk2 2007. Everything works as it should and has been tested prior to removal. Please check the photos and make sure you are happy with the item before purchasing. This stereo does come with the code as you can see in the photos however it’s no 100% clear what the code is. I think it is 2302 but could possibly be 2382. Either way it will be one of these. Obviously this is a used part so will have some signs of wear and tear to be expected. Any questions feel free to ask. Located in Southport pr9 7rr. All of our items are security marked. Part number (if visible) is on photo to enable accurate part match. Ireland, Highlands & Islands will cost extra. 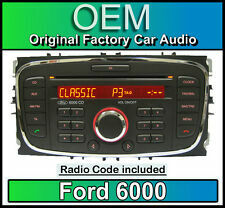 FORD 6000 CD RADIO MP3 PLAYER CD345. FORD FOCUS C-MAX S-MAX GALAXY AND MK4 MONDEO. PLAYS ORIGINAL COPY AND MP3 CDS. BLUETOOTH MODULE FITTED AND AUX SOCKET. IT WILL FIT DIFFERENT YEARS FOR EACH FORD MODEL FROM 2008 ONWARDS UPTO 2013 APPROX.